Work your core. Eat right. Train your brain. Recovery fully. Those are our Core Matters. We earn the body and health we have. Want a different body? Do this: schedule a consultation today at our private studio and together, we’ll figure out the best path to your goals. All programs are reservation only. Call today to schedule your consult (404) 435-6367 or click the button below. If you’re not ready to schedule, please enjoy our Welcome Kit on the menu above, download our E-book, The Secrets to Fat-Loss, and test your fitness with The Sit-To-Stand Test by downloading here. Chi Running…What a Great Gift! Join us for a relaxing start to your day. Learn to safely open tight places. Learn when it’s right to stretch—and when it’s not. If you're like most people, you have a drawer full of oils you don't remember how to use. Join us in our ongoing workshops and learn to use oils for self-care. Topics change every month and include Managing Allergy season, Midlife without the Crisis, and more. Reservation required. Register for our Intro to SFG Kettlebells Workshop. Stress is killing us! Learn what’s actually going on in your body when you’re stressed and learn how you or your employees can manage it. 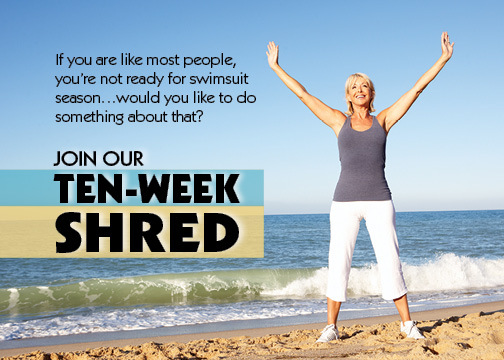 GET INTO OUR SHRED Program before SUMMER! Get the accountability you need AND have fun doing it! Get the BEST core workout on the planet at our Studio of Strength! The SFG method is Russian “hardstyle” for maximum results in minimum time. Strengthen (and rehab) your back, shoulders, knees, hips, and core. Improve performance in any sport, especially golf, football, running and tennis.